The quality of honey, like wine, is influenced by variety of important factors, but none more so than the blossom from which the honey is made. The flower is to honey as the grape is to wine. 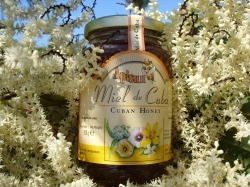 Cuban honey is highly popular and is considered exceptional due to the Island's position in the Caribbean and the low toxicity of its products. Our nectar comes from flowers that are pesticide and insecticide free. 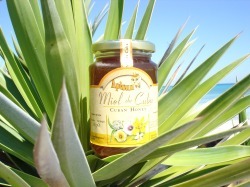 This honey has a high nutrition value, delicious aroma and taste that satisfy the most demanding consumers. For the true honey lovers Cuban polyfloral honey floats off your tongue leaving you to savor its subtle, yet rich, tropical essence. With almost a million Canadian tourists visiting Cuba, Canadians are very familiar with this amazing product. 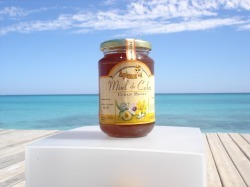 What makes Cuban honey special is a natural and ecologically pure environment in a privileged climate where an exquisite variety of rich and exuberant flora grows all year round and with rich, wild mellifluent species. From those flowers, our bees collect pure, sweet nectar. 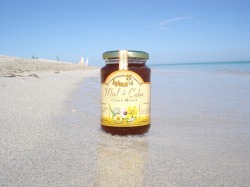 To maintain honey's wonderful taste, texture and nutritional qualities Cuban honey is offered in its pure, natural state - no heat ever applied to it. 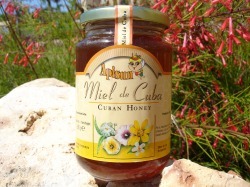 Cuban honey is as close to its natural state as possible except that it is in a jar. Unheated honey is a live food because it has naturally occurring living enzymes, full nutritional spectrum of natural pollens and antioxidants. 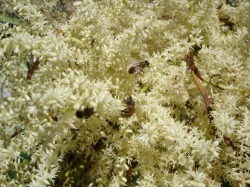 Our bees forage for nectar in one of the most pristine places on the planet the island of Cuba. And, if it wasn’t enough that the environment was pure and natural, we take our bees to forage in some of the most remote and beautiful parts of the island…the lushtropicalforests…on cliffs overlooking the Caribbean Sea. To us, each jar of natural honey is like a work of art, taking months and painstaking care. At every stage, our beekeepers focus on quality and purity so you can enjoy the finest artisanal honey available. Honey production in Cuba is backed by long experience, harmoniously combining traditional and modern technologies on a scientific and technical basis that insures the necessary supervision. All honey is subject to systematic laboratory analysis and inspections to warrant and verify composition and quality factors together with a biological control system that guarantees the product’s veterinary certification in all the stages. All honey lots are certified by Honey Lab of Bremen (QSI) in Germany in a way to have a safe and continuous quality control certification of Cuban honey. In other words, they eat seasonally! Depending on the time of year, we move our bees to the areas where flowers are blooming where they eat and collect ripe seasonal nectar. 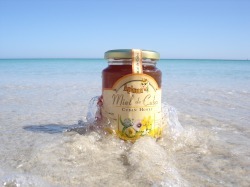 Because of the year round warm weather in Cuba, there are always honey flows at different times of the year. Other apiaries, particularly those in cold climates, may feed their bees sugar solutions for for part of the year. Our bees eat 100% pure flower nectar.